Pre-installed Android 4.x or latest version for ODROID-C1/c1+. 16Gbyte eMMC Version 5.0 interface from Samsung. 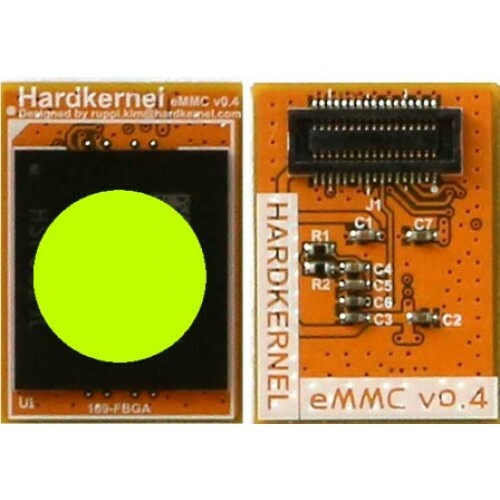 JEDEC/MMCA version 5.0 : HS200 interface with 8bit DDR mode.